Weeping Tile Installation Common Mistake. How The Weeping Tiles are Installed? 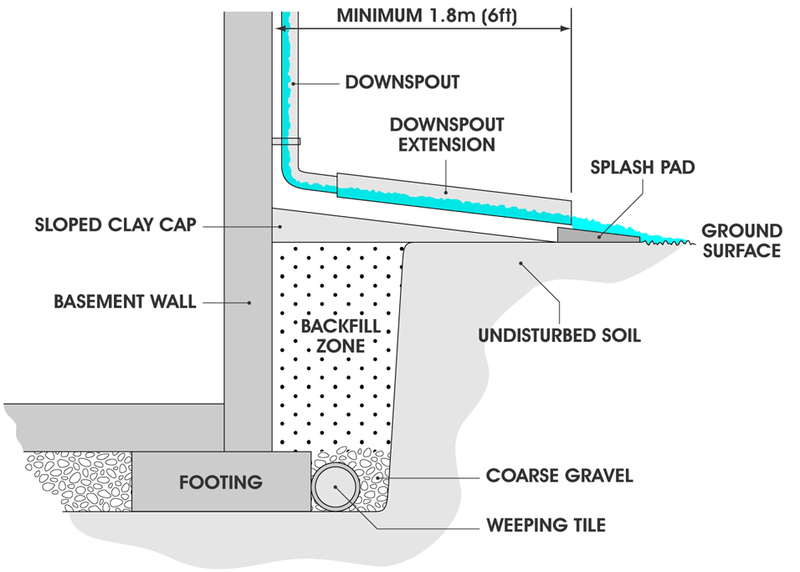 The way that most of the waterproofing companies install the weeping tiles does not serve the purpose %100. As it shows on the images above the water fills up under the weeping tiles and rises up and then flows in the weeping tile. Meanwhile, the water flows under the foundation wall footing and under the floor slab and causes dampness in the basement. How we make a difference? 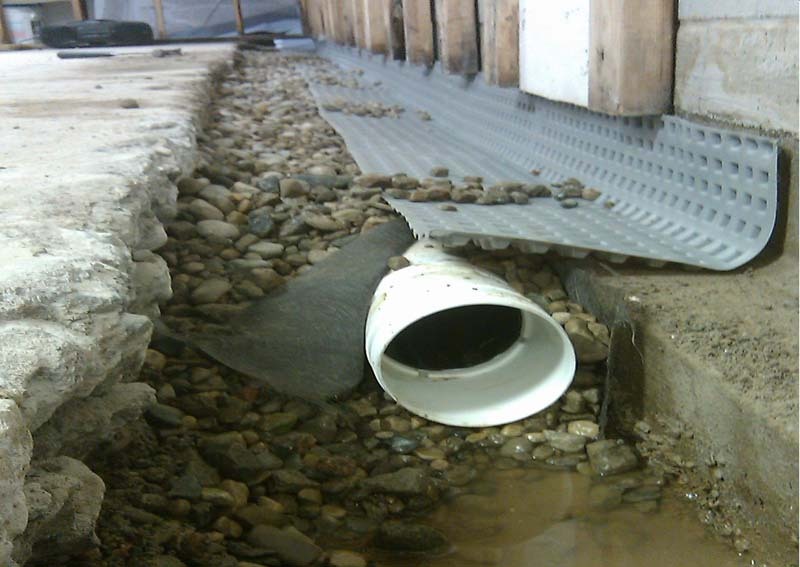 We do install a water barrier under the weeping tile that does not let rain water go below the weeping tile.